When it comes down to it, writing content can be painstaking. Even the most accomplished writers and those buzzing with fresh and exciting ideas struggle. They’ll find themselves staring at that poster on the wall, twiddling their thumbs and wondering where their next 400 words are coming from. The good news is this: there are lots of helpful and creative people out there, and they’ve come up with many handy content writing tools. Here are 6 tools that we found particularly useful for all stages of the content writing process. Get inspiration for content by visiting Quora, a social networking site that operates on a question and answer discussion basis. Sign up, pose your question and have it answered by experts in your industry, or identify trends from grouped topics. The likes of Stephen Fry, Rand Fishkin and Ashton Kutcher are all present and active on the site. Quora is particularly useful for gathering quotes to add colour to your content, although of course you should always be aware of provenance. 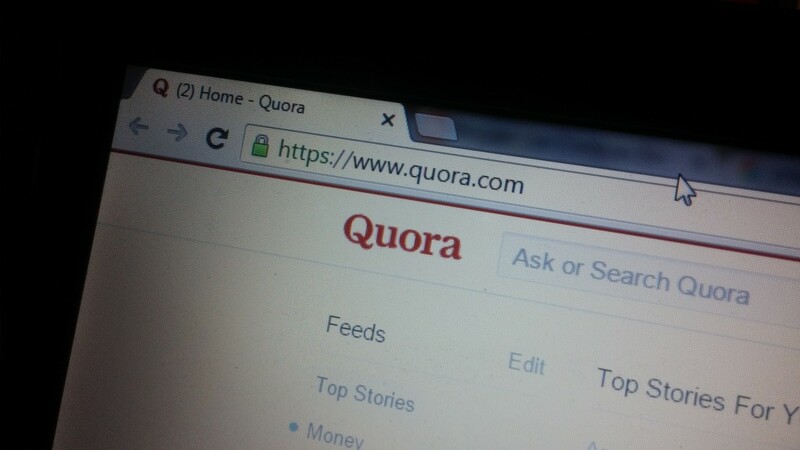 This article by SEMRush outlines the benefits of Quora for marketers. How often have you and your team sat down to discuss content formulation, only to find yourselves doodling on scraps of paper and making outlandish suggestions that you know are never going to work? Available as a web app or a WordPress plug-in, InboundWriter is invaluable when you’re forming your content creation plan. It provides marketers with an idea of how well content will perform prior to it even being written, using research data from across the web to analyse how that topic or area of interest is resonating with web users. The tool can also recommend keywords for you to use; the only downside is that, unlike the other resources detailed in this article, it isn’t free. We entered “6 awesome content writing tools you should be using” into the Emotional Marketing Headline Analyser. This received an EMV of 66.7%. According to the site, professional headlines have an EMV of between 30% and 40%, while gifted writers rank around 60 or 70%. In other words, it appears that ours is a great title! Ernest Hemingway was one of the greatest writers of the 20th century, and he almost never wasted a word. His unique and tight writing style substituted lengthy, flowery prose for short, minimalist sentences. He also used plenty of repetition and relied on punctuation to convey meaning to the reader. Nobody expects you to write like a Nobel Prize-winning novelist. Yet this handy little editing tool can give you suggestions on where to improve. Hemingway highlights sentences and words for clarity and readability and flags up use of the passive voice. Don’t get caught up in trying to impress your readership. As content marketing whiz kid Neil Patel suggests: “you want to write as simply as possible to reach the biggest audience.” Paste your copy into the editor when finished and tweak where necessary. Yes, we did check this paragraph in Hemingway. Here’s the original copy for an idea of how it works. When you’re marketing a business or topic that you know like the back of your hand, it can be hard to look at it ‘from the outside’, as your readers would. This brilliant tool, created by Toronto-based Atomic Reach and available as a WordPress plugin, is designed to help you stay on track with your blogging. It syncs with Google Analytics and your social media accounts, using this data to accurately inform how you can tailor your blog content to your target audience. AtomicWriter is simple to use; just enter your copy into WordPress as usual and the plug-in will give you suggestions on how you can alter your post to make it clearer for the readership you had in mind. Articles are scored with a numerical Atomic Score (the higher the better) and you’ll be given an indication of Audience Match, which determines whether or not you should tweak further. Not everyone is a naturally talented writer and most of us don’t have the time to be combing through finished drafts looking for errors. However, content rife with errors screams of a business that is unprofessional, so what do you do? 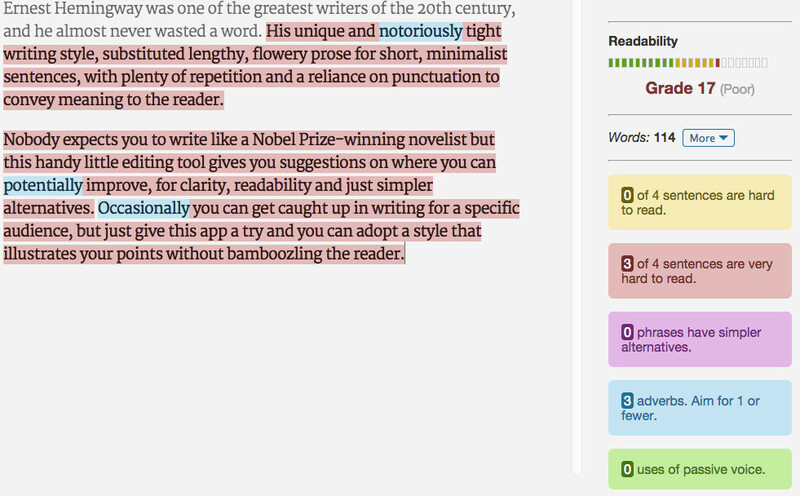 Grammarly is a plug-in that checks and corrects any spelling, grammar or punctuation mistakes it finds in your text. Grammarly works with all major browsers, as well as Microsoft Office, and will appear in any text editors or dialog boxes you open, in the form of a small, green, clickable circle. You have to sign up to Grammarly, but it isn’t intrusive, and doesn’t take much effort to use. The alternative could include simple mistakes such as this, so using this tool is a no brainer. Choosing an effective headline is notoriously difficult. It can often be tempting just to summarise the basics of the article or adopt a lazy, clichéd pun and move on to the next item on your to-do list. However, as Jodi Harris highlights for Content Marketing Institute, there are a number of aspects you need to conform to, all of which seemingly contradict each other. Advanced Marketing Institute’s free, web-based tool is handy as it gives you an idea of the emotional response your headline will garner with your audience. We entered “6 awesome content writing tools you should be using” which received an EMV of 66.7%. According to the site, professional headlines have an EMV of between 30% and 40%, while gifted writers rank around 60 or 70%. In other words, it appears that ours is a great title! The analyser isn’t perfect and it doesn’t really give you an idea of the keywords you need to use, but it’s useful for helping you understand what your readership looks out for. These six content writing tools alone won’t provide a magic solution, but have a play with them and see what you think. You might learn something new!